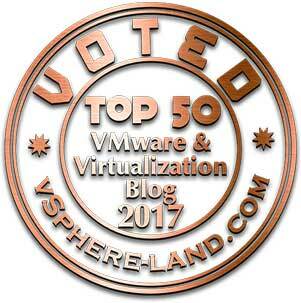 The Blog of Jorge de la Cruz – Page 2 – Everything about VMware, Veeam, PRTG, Zimbra, etc. 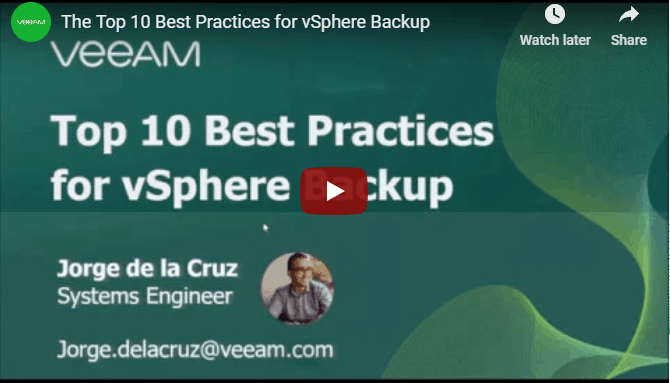 Greetings friends, I was lucky enough to present the Webinar for Veeam called top 10 best practices for VMware vSphere Backup. 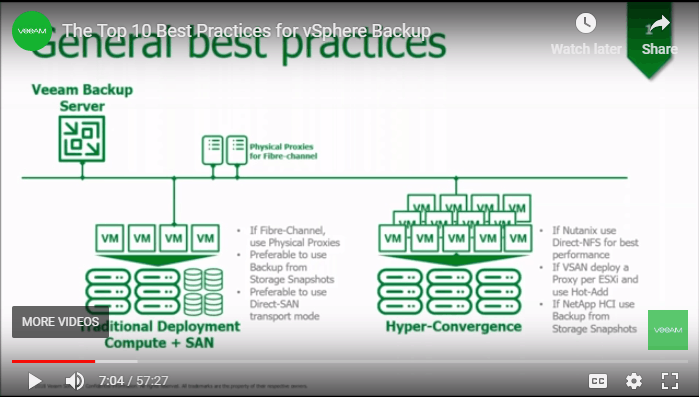 In this nearly one-hour webinar, we'll see ten tips, each important, on best practices for getting the best results when backing up VMware vSphere with Veeam Backup & Replication. Which backup mode best fits my infrastructure? What are the options for restoring my data? 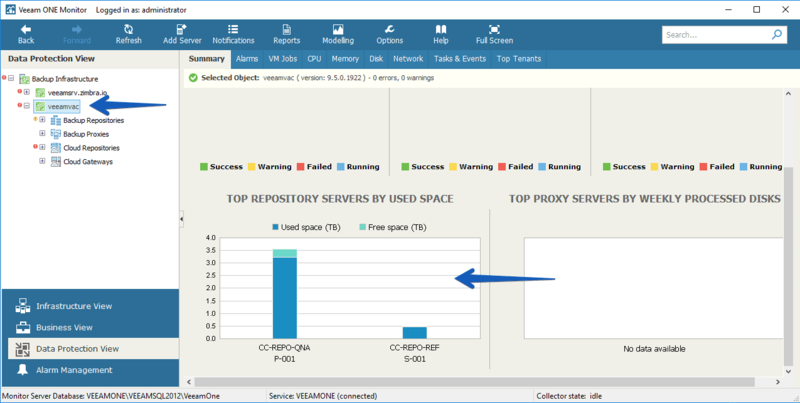 What are the benefits of Veeam Storage Snapshot integration? 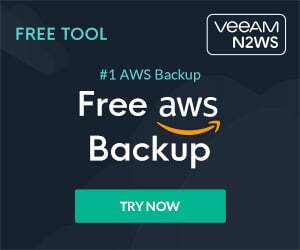 How do I perform a professional vSAN Backup with Veeam? 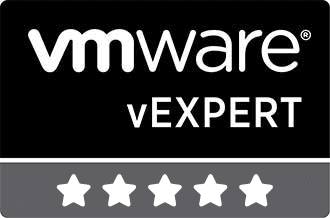 Thank you so much, if you have any questions about the Webinar, or about the Best Practices for vSphere, please feel free to drop me an email. Greetings friends, as many of you know Veeam includes for free Veeam Enterprise Manager in the Enterprise or Enterprise Plus editions. 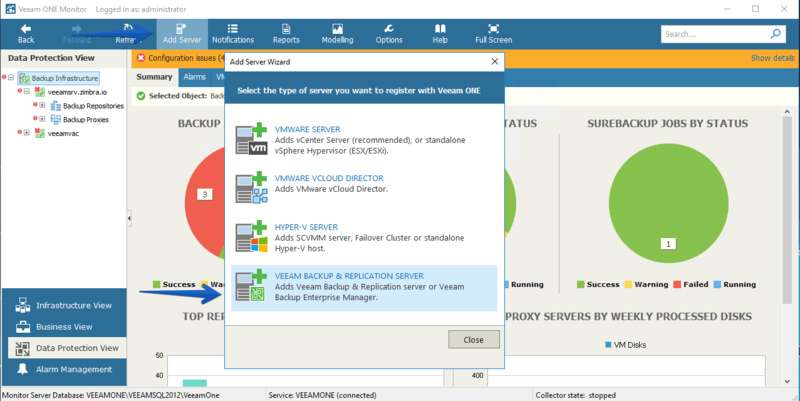 Veeam Enterprise Manager is a web portal that administrators, or delegated users, can access to perform different recovery operations, or for example create DataLabs requests as well. I decided to create this Blog to cover all the operations we can do from Enterprise Manager, since it has so many that it really looks like a Swiss Army Knife, let's go! 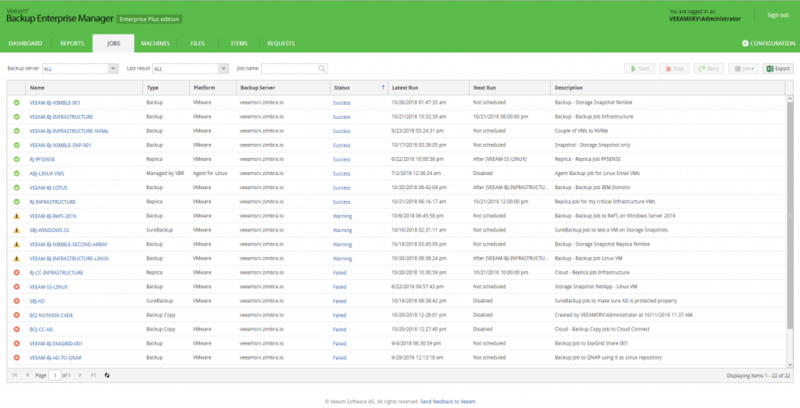 Once we connect to our Veeam Enterprise Manager, we can see the option called JOBS, from here we can perform several operations, let's see them all. Start, stop, retry and advanced options of Veeam jobs. Greetings friends, I haven't written much about Veeam Availability Orchestrator yet, and that's going to change soon, today I start with an advanced entry and later we'll come back with the basics. One of the amazing things Veeam Availability Orchestrator allows us is to include additional steps in our Disaster Recovery plan. Talking to a customer I said to him if he would like to receive Slack notifications when a job is running, and have a brief summary in Slack too once the job finishes, of course he loved the idea, today we'll see the steps necessary to get it up and running. 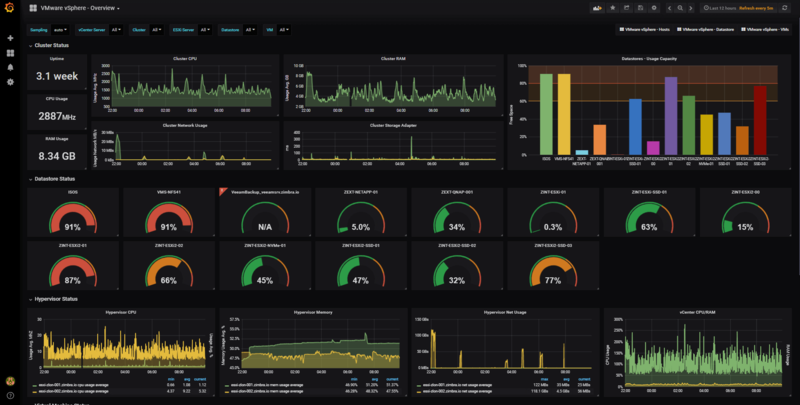 Greetings friends, I have been lucky enough to attend two of the three NimbleStorage Connect User Groups that have been held in the UK, the three cities chosen were Manchester, Bristol and London, in my case I have attended and presented in Bristol and Manchester. I have to thank the HPE people for inviting Veeam to these User Groups to have the opportunity to talk about the integration of Veeam and Nimble Storage, especially Nick Dyer, a fireproof Nimble Storage since its inception. Greetings everyone, a few weeks ago Nick Furnell and myself did a live session about everything you want to know about Backup in 60 Minutes or less. Having a data backup and recovery plan is important to the overall success of your business. Without one, your business can suffer from permanent data loss, massive downtime, and unnecessary expenses. Even if you think your data is safe, a tragedy can strike at any time. 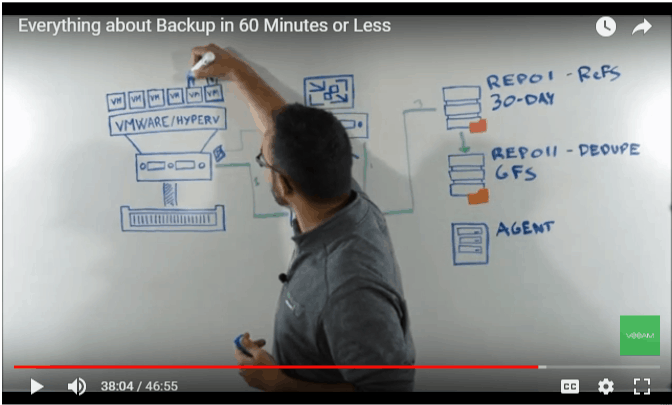 Watch this recording of the whiteboard and learn everything you always wanted to know about backup. I hope you find it interesting, and feedback it is always welcome. 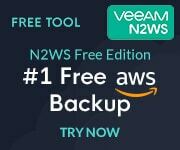 Greetings friends, long ago I told you about the benefits of Veeam Cloud Connect, and since then I know that there are many of you who have become one of them. At the same time I know the problems when monitoring the components, and the tenants in a precise way, that's why today I bring you this post to see how to monitor Veeam Cloud Connect with Veeam ONE.